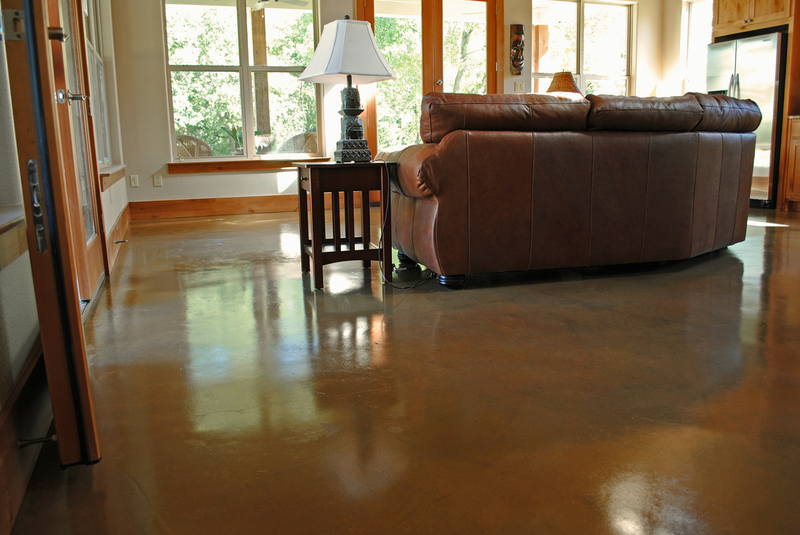 Our interior concrete floors begin with acid-staining and other coloring techniques and continue with custom sealing and finishing specific to your surface. Concrete of any age can be transformed into a beautiful, durable and affordable finished floor for living, work and play. 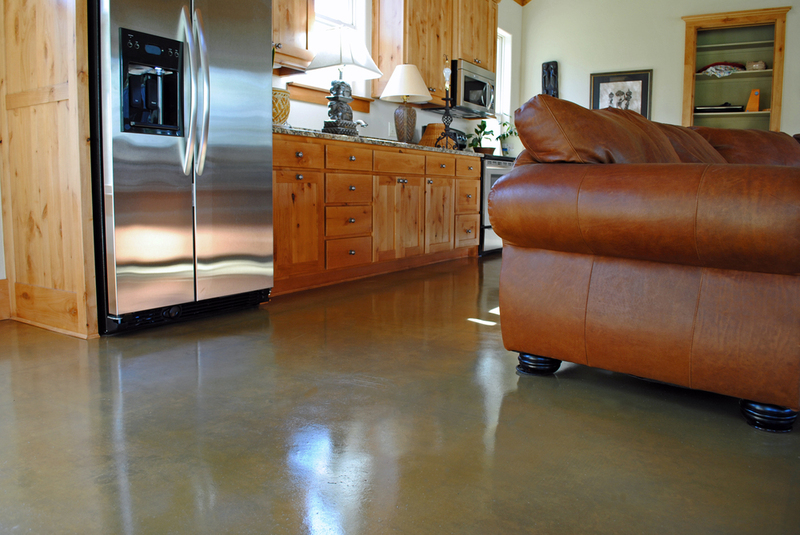 Interior concrete floors are appropriate for residential, commercial and industrial applications. 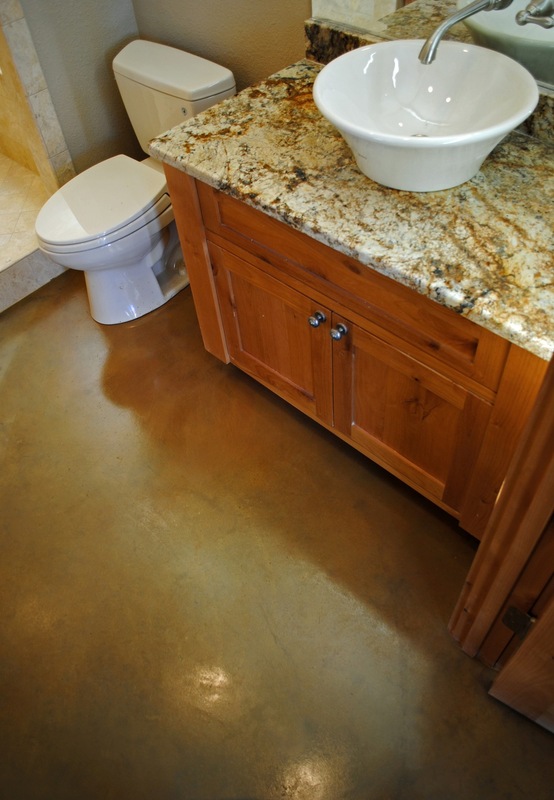 The floor in this new home is uncolored concrete with a clear sealer and finish. A new home with continuous stained concrete in all downstairs rooms. The color is a light black acid-stain enhanced with a sealer tinted in a light walnut color. Originally integrally colored concrete, this scored floor has a sand-colored finish and rectangular tiles. New residential concrete. The color is the original gray concrete enhanced with a patina of light ‘walnut’ tint. A black acid-stain on scored concrete in a new pool house. A few 'during' and 'after' photos. The entry and hallways of a new church. Pale green, brown and dark red, from a mix of acid and dye stains. The wide contrasting block borders accentuate the large scale and open feel of the public areas around the sanctuary. 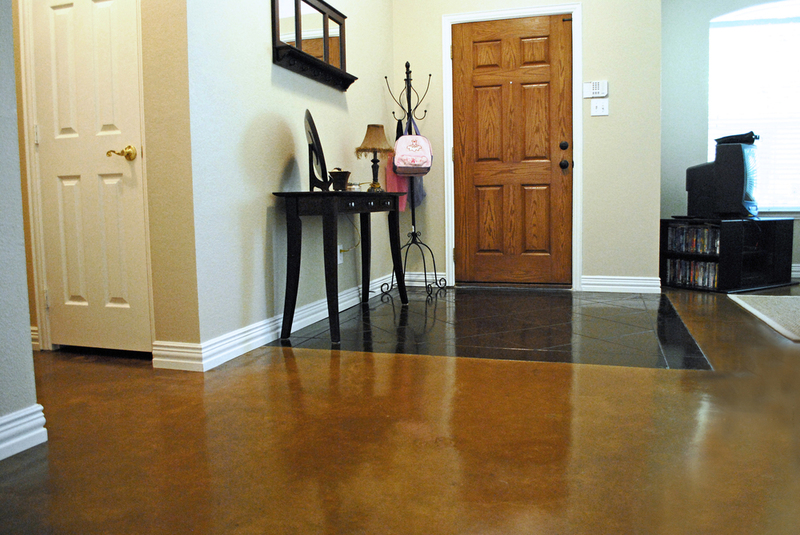 Examples of classic Kemiko ‘Malay Tan’ and ‘Golden Wheat’ stain colors on new concrete. Stained and sealed restaurant concrete floor, a strong earth-tone to complement the rustic décor. Entry, living, kitchen and breakfast areas with tan and black acid-stains. Older existing surfaces make great decorative concrete floors. This one was previously tiled and carpeted.